A contract for selling a car is an important document to protect both the buyer and seller in the case of disputes or legal proceedings. A private sale is financially profitable and usually the best way to get the most money for your car. And, although most people are trustworthy and transactions can be completed without problems, it is always a good idea to have a signed proof of agreement such as a contract or bill of sale. Drawing up a basic contract for selling a car (see our checklist for selling your car) is simple when you know what minimum information should be included. Seller and Buyer Information. The contract should include both the buyer and seller’s full name and address. It is also a good idea to include the buyer’s phone number or contact information. Vehicle Details. Include a section that outlines the make, model, year, color, and VIN number (vehicle information number) of the car so there is no question as to which vehicle is being sold or purchased. This could be important if a dispute were to arise or if a seller were accused of misrepresentation. Mileage. Make sure the contract or bill of sale clearly states the odometer reading at the time of the transaction. In some states or areas, an Odometer Disclosure Statement is required. In this case, the mileage should still be recorded on the contract, but an additional form must be attached or given to the buyer once payment has been received. Check with the local Department of Motor Vehicles to find out what paperwork is needed for the transfer of ownership. Payment Information. Clearly state the agreed upon price, the date of sale, and the acceptable methods of payment. For example, the contract may state, “The Buyer will pay the Seller the full agreed upon amount in cash, money order, or bank guaranteed check.”The document should also include a section for recording any down payment or holding deposit received from the buyer. For example: “The Seller acknowledges that a holding deposit of $_____ was received from the Buyer, with a remaining balance of $_____ on the purchase price, to be paid in full on or before (Date). Seller’s Responsibilities. This paragraph states that the Seller agrees to provide the Buyer with specific documents including, but not limited to, registration, odometer disclosure statement, emissions certificate, maintenance records, or manufacturer warranty information. As the Seller, you may also wish to include a statement of verification so there can be no dispute or question that the Buyer received these documents. For example: “The Buyer acknowledges that all theabove-mentionedd paperwork and/or documentation was received from the Seller. Yes/No.” A line for the Buyer’s initials can also be added, although the signature at the bottom of the contract is generally sufficient. “As Is” Disclaimer. Make sure the contract includes a section that clearly states the vehicle is being sold “as is” and that the Seller makes no warranties or guarantees either expressed or implied. The Buyer is responsible for all costs related to transferring ownership and any repairs necessary to receive a safety certificate or licensing. If there is any remaining manufacturer’s warranty or transferable extended coverage, be sure to provide the Buyer with the contact information and state that any future warranty claims are to be handled by the Buyer. Signatures. 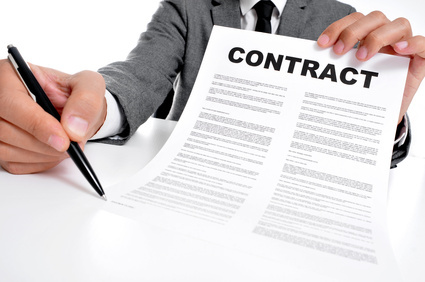 The contract should include a line for both the Buyer and Seller’s signature as well as the date of the transaction. Depending on the legal requirements of your State or area, you may also wish to include a section for witness signatures. Legal Disclosure: You may use this printable Draft Contract For Selling A Car provided you accept full responsibility for its contents and legality in your state of residence. This basic document is provided as a courtesy draft for personal use between private parties and should be edited by the Seller as necessary and we recommend a review by an attorney before final execution of the contract. Requirements and recommendations for what should be included in a Bill of Sale or Contract for a vehicle sale vary by state so we recommend that you check with the Department of Motor vehicles website in your state of residence for further information. Get a free printable draft contract HERE! Discover the benefits of vehicle protection plans from autopom!